Hello and welcome to 411mania’s weekly Comic Book Review Roundtable! Each week we’ll be serving up a warm dish of reviews from Marvel, DC, and anything else that captures our interest. What did you pick up this week? Let us know in the comments. Want to write a review? If you can write at least one review a week, consistently, email me at [email protected]! Now on with the show! When immigrants came to the new world they didn’t only bring their hopes and dreams, they also brought their MONSTERS. Years ago, early setters locked these monsters away in a secret prison deep in the woods of New Amsterdam so that they never would return to the Old World again. Those woods have since become Central park and now, the monsters have escaped! Nick, a 14-year-old Harlem resident, finds out that he is a “legacy” to a secret society, that for the last four hundred years has kept these monsters in check. Now Nick and a ragtag group of kids just like him have to put the monsters back before they get out of the park and destroy the city. 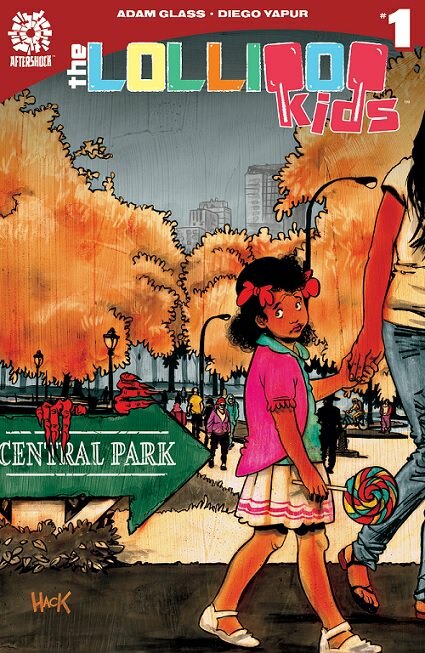 Brought to life by Adam Glass and Aidan Glass (ROUGH RIDERS, THE NORMALS, Teen Titans) with art by Diego Yapur, LOLLIPOP KIDS is an epic re-imagining of the nightmares that haunt Central Park after dark…. Picture this: You are in Valhalla, filled with wine, women and song. You are surrounded by the greatest warriors of all time, an honorable fate for a warrior’s death. Who would want to leave? Frank Castle, that’s who. 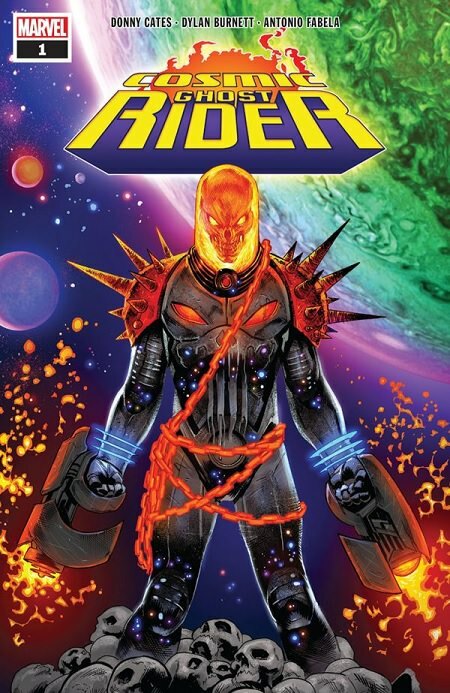 Donny Cates, fresh off Thanos Wins, and Dylan Burnett bring us more of the cosmic-powered Punisher. Frank Castle, aka the Cosmic Ghost Rider, has seen a lot. He has been a soldier, a herald, a spirit of vengeance. It’s an understatement to say he has lived a full life and deserves some rest. Odin tried to give it to him. The interesting part is, he doesn’t want it. Odin realizes that Castle doesn’t belong in Valhalla so he grants him his powers back. And with that Castle decides could change the course of history. Burnett’s cartoonish style is perfect for this issue. The Rider’s flames jump off the page, ready to burn you. Antonio Fabela use of bright colors adds to the mayhem. I’m not sure this comic has the longevity of Spider-Man or the X-Men, but it could be a fun read. Frank Castle, with this kind of power at his fingertips, could reap some serious vengeance upon the Marvel U. After checking out Batman #50 last week I wanted to see how Catwoman #1 would play off the events. If you haven’t read the (in)famous Wedding issue, this review contains SPOILERS. The main thrust of the issue is establishing Catwoman’s new status quo since leaving Batman high and dry. Leaving Gotham she sets up shop in Villa Hermosa. The issue is a jhjbit confusing in how it runs three stories at the same time and share the page in a bizarre mosaic of action. Luckily artist Joëlle Jones keeps things from being bogged down with some amazing panels and distinct scenes. Jones also wrote the story so she knows where it’s going and what she wants to story to convey. Getting Selina over the Batman hump and who she is will be no easy task but it should be a fun ride. Catwoman #1 is an interesting issue and one that helps make the adjustment to the her new surroundings. 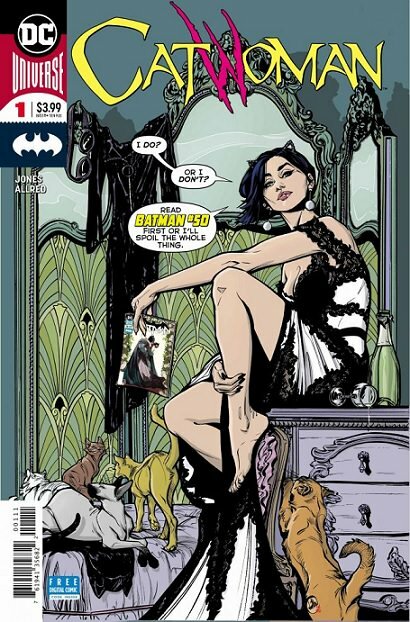 After anticipating a life with Batman, audiences will quickly take to the new arc Selina is about to take on. 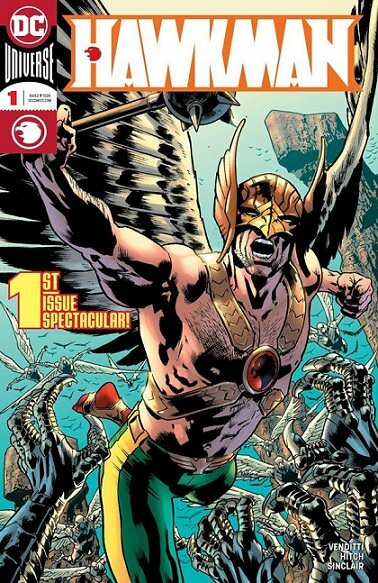 Solid issue and I’m definitely anticipating the second issue. That’s all the time we have. Tell us what you’re reading below and see you back here next week! Youcan now find our reviews on ComicBookRoundUp.com!